Running for the 5th year in the UAE, The Color Run Dubai requested P1C to get creative on its 2017 race theme of ‘Dream in Color’, interpreted as making life goals, fitness aspirations and ultimate dreams come true. The objective was to promote a healthy, active lifestyle among an audience of all ages and nationalities, particularly families, while raising awareness of the event and generating year-on-year increase in sign-ups. 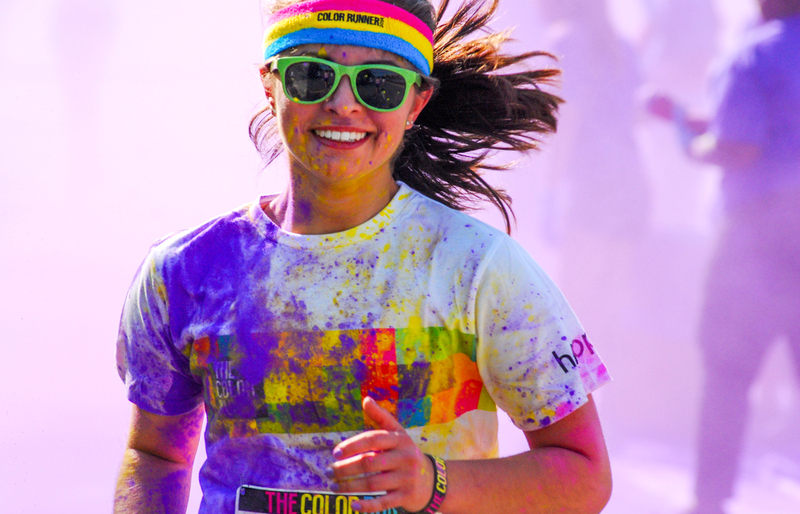 Our strategy was to create a fun and quirky series of stunts using The Color Run’s official mascot, Runicorn, to generate excitement, increase social media shares and create general awareness of the forthcoming event. Press kits and invitations were hand-delivered by Runicorn, and we took Runicorn into sponsor station Channel 4 FM for a live interview before reaching out to families and young children with a visit, photo shoot and remote broadcast at the local weekend market. Our most successful stunt involved a school car park, color splash paint stickers and a sneaky videographer, which generated more than 100,000 hits on YouTube.